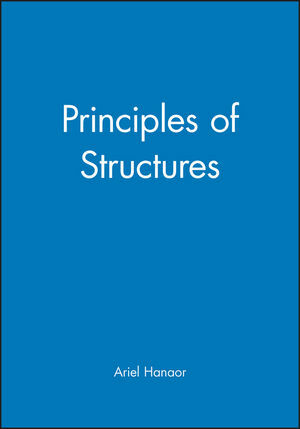 Both architectural students and civil engineering students need an intrinsic grasp of structures, but existing texts on structural theory are too mathematical for architectural students and many civil engineering students would benefit from an introduction to basic principles. This book provides a highly visual approach to explain structural concepts to these two audiences. Ariel Hanaor was born in Israel in 1943. He received his first and second degrees in structural engineering from the Technion, and PhD from the University if Melbourne, Australia. He has wide ranging industrial and academic experience as a structural engineer in four continents. Dr Hanaor has published extensively in the technical literature and is a memebe of the editorial board of the International Journal of Space Structures, as well as of several professional institutions. Special interests include research into the design and behaviour of space structures, and the teaching of structural design and analysis.